It is imagined that Buckshee was intended to be the first station on a projected line from Oban to Campbeltown promoted by the Caledonian Railway after the opening of the Callender and Oban Railway in 1880 a line was at one time proposed from Campbeltown to Dalmally. The line to Buckshee comes off the C&0 from a junction at Connel Ferry. Unfortunately it was soon realised that the line would be too costly to build with little if any profit and was thus terminated at Buckshee. Buckshee is situated just slightly north of Kilinver on the shore of Loch Feochan (a sea loch) with a short branch of about 2 miles heading north east to serve a distillery in the village of Feochan. 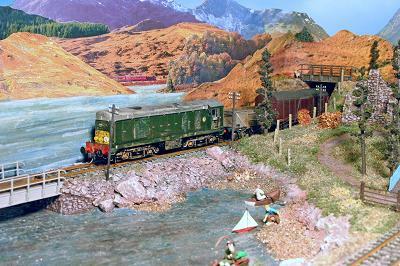 The village of Buckshee has a small harbour with the fish being taken out by train. 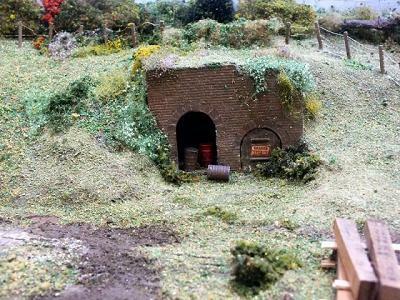 Also there is a small distillery which again has its product taken out by rail. Other goods traffic is generated by the distillery at Feochan. Also of course there is coal and other general goods. 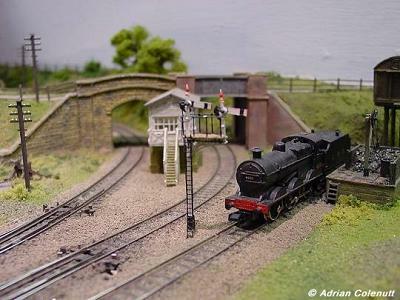 The layout has been in making for a number of years and is the work of a small group of Redditch Model Railway Club Members. 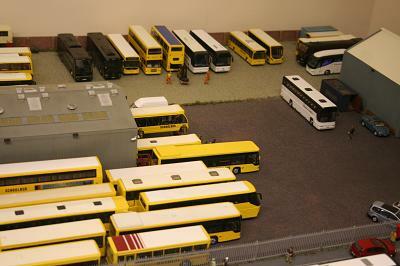 The layout has very much been a product of cramming as much in a small area to both give operational interest and allow the finished product to be easily transported to exhibitions in a small hatchback car. 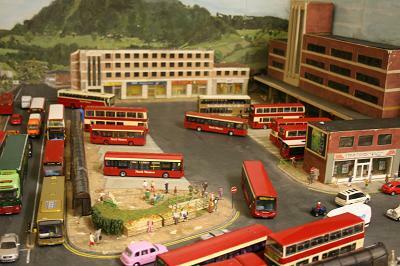 The layout was first shown at the Redditch Model Railway Club Exhibition in 2004 in a very much unfinished state. Much time has been spent since to bring the layout up to a far more complete state. Dovington Camp was developed during World War II, with quite an extensive rail network. This has been rationalised over time but still maintains a rail link for the movement of fuel, stores, munitions and a variety of military vehicles. Several MoD locomotives are maintained to shunt the Depot. 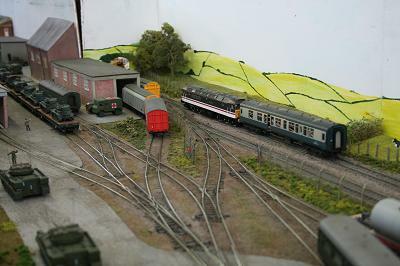 The layout is seen here circa 1990 in the lead up to the Gulf War. The local Guard's Brigade is on parade receiving new regimental colours from Her Majesty the Queen. 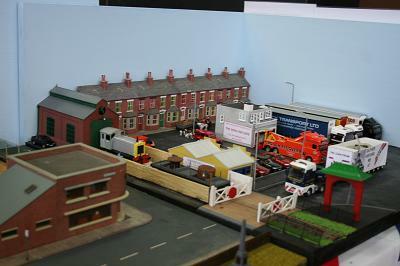 The layout is of modular design, able to operate on its own or with Paul's other layout, Aneilan Road. This club layout is an exercise to see how many quarts can be squeezed into a pint pot (or cubic decilitres into a litre for the younger generation). 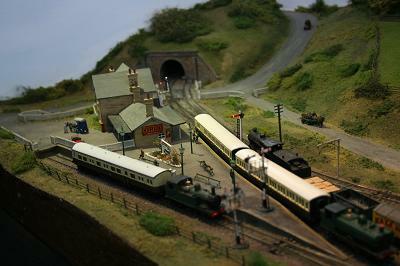 The brief was for the layout to include through running of realistic length trains, a station, goods yard and engine servicing facilities, abil- ity to justify the use of two railway companies, realistic operation with no tail chasing, capable of two engine movements at the same time and all in a space of 4 foot by 2 foot using proprietary track, buildings kits and bits and pieces as far as possible. We only failed on the size which is in fact 4 feet by 2 feet 6 inches! The extra width was added to avoid an oval appearance. The result is a LMS single track secondary mainline with GWR running rights and GWR branch line junction or vice versa if the fancy takes us. It is situated somewhere south west of Birmingham towards the Welsh borders. 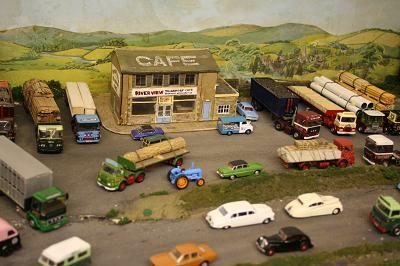 We were able to get so much in such a small space as a result of the introduction of PECO N gauge live frog double slips. Two have been used and these are great space savers. Dydley Junction is now more or less complete, only the signals need to be mechanised so that one day they will eventually be working! By the summer of 1964, the Isle of Man Steam Railway was a shadow of its former self. Tourists had not returned to the island after the Second World War and the halcyon days of the 1920s and 1930s were now a distant memory. After the boom years, short trains with few passen- gers were now the order of the day. Mannin Middle assumes the Foxdale branch had been extended southwards to form a junction with the southern line at Ballasalla. Although passing through a largely rural area which did not contribute much passenger traffic, the route would have been useful as a means of travelling from the south to the north of the island thus avoiding Douglas. The northern routes from Douglas to Peel and Ramsey closed in 1968. However the southern line remains open and it is still possible to travel from Douglas to Port Erin through the beautiful rolling Manx country- side in a wooden bodied coach hauled by a 19th century steam locomotive. 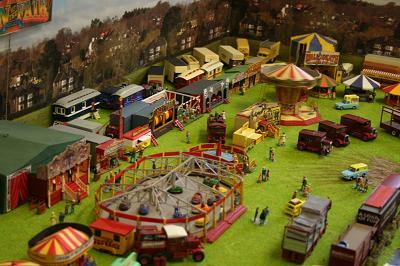 The layout was originally built by Hugh Freeman of Kenilworth and was purchased by the present owner in 1999. 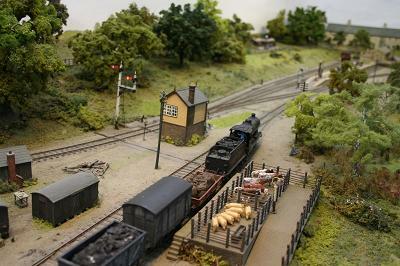 Following an extended period of storage the layout has been restored and renovated to its current condition. Oxford Road is a fictitious setting somewhere in West London in the period mid 1980s to early 1990s. 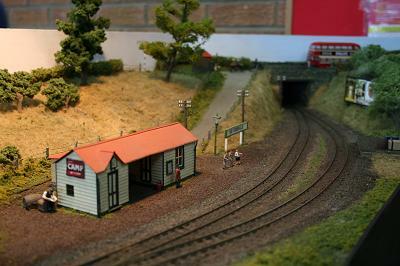 The layout contains a small depot, fuelling point, engineers siding and short platform which sees a sporadic service of garishly painted Network South East first generation DMUs. The Bakerloo Line runs on a lower level beneath it and has its own separate station. 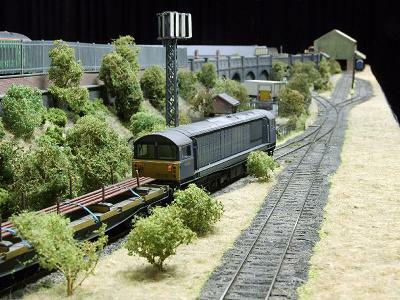 The layout uses Peco code 100 track and is DCC equipped using an NCE Powercab system. Structures on the layout are a mixture of card and plastic kits and scratch built. Rolling stock is a mixture of Bachmann, Hornby, Lima and Heljan with some extra detail added. 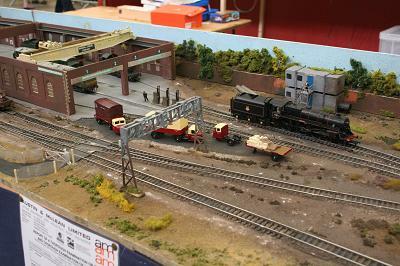 The layout was not actually built to exhibit so may occasionally need a little poke to keep everything moving! Rax Lane M.P.D. 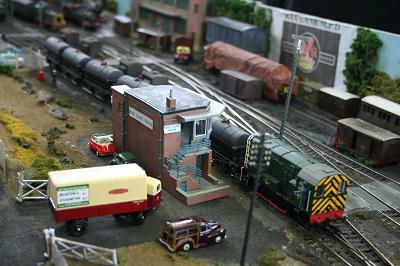 is a representation of an engine shed operational dur- ing the transition between steam and diesel, set in the early 1960's. 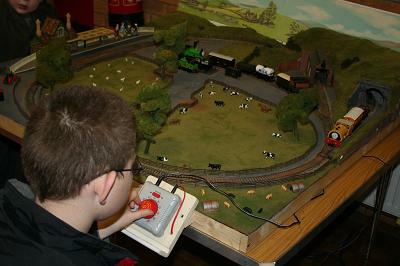 The layout was built initially as a DC layout but has been rewired for DCC, but uses the original points control mimic panel rather than controlling them with the DCC control. 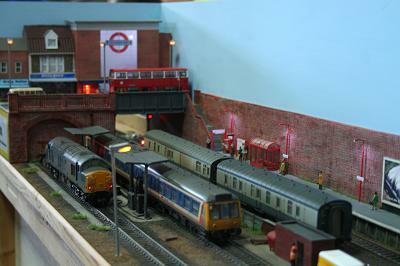 It is very loosely based on the track layout at Willesden, significantly scaled down to fit within 2 foot wide boards. 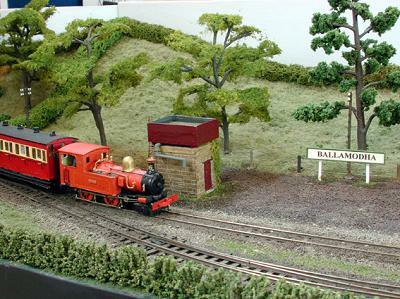 There are approximately 40 locomotives in use on the layout at anyone time, with steam and diesels from all the B.R. regions. The layout and many of the locomotives are quite heavily weathered. 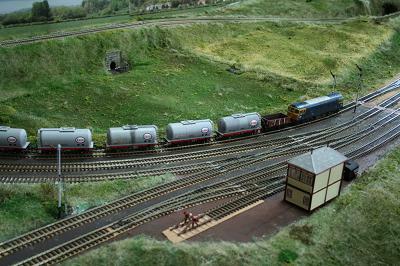 There is a series of trains that supply the depot, consisting of diesel tanks, oil tanks, coal wagons, and spare parts wagons, and the depot has its own breakdown train. 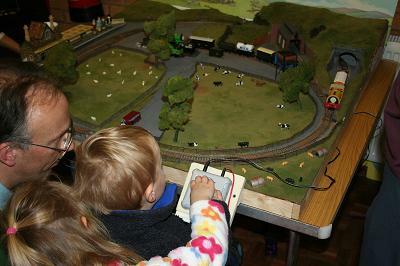 It is DCC controlled using a ZTC system with a main controller and two slave controllers, enabling up to three people to operate the layout to- gether. 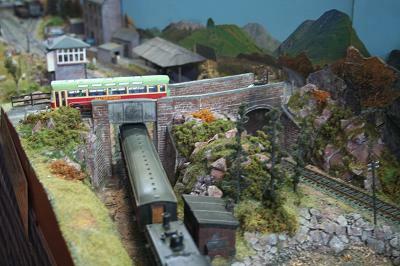 One of the advantages of DCC is the use of sound, and there are some steam and diesel sound locomotives present. This layout is not intended to represent an accurate prototype, but to show off a sizeable collection of locomotives and to have a lot of fun doing so. It has attended many exhibitions in the Dorset and Somerset area over the last ?ve years and continues to be popular. 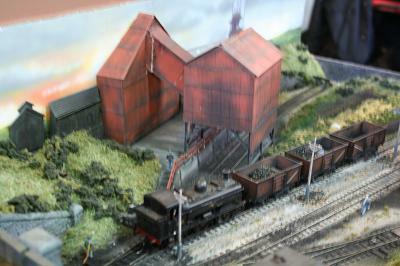 This is a small shunting layout with an operating loader representing a corner of a colliery. Trains arrives from the exchange sidings, the engine is uncoupled. 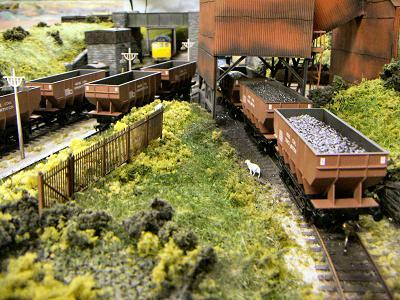 A shunting engine couples to the wagons and moves them to the loader to be filled. 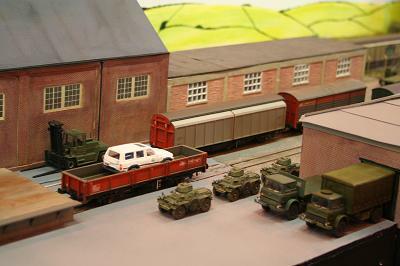 The full wagons are then moved back to the sidings the shunting engine goes back to the small locomotive shed. The train engine then attaches and takes the wagons away to another sidings off scene. 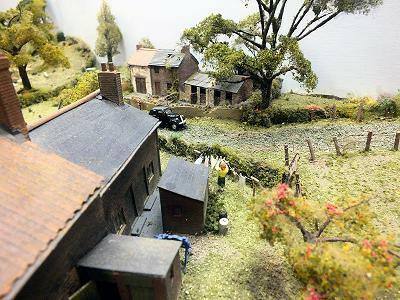 Windrush is a rural layout based on Cotswold life in the fifties. Remember the poem "Adelstrop" by Edward Thomas, where a GWR trains stopped unexpectedly, the quiet of the Cotswolds descended and only the sounds of birds singing were heard? Windrush has that same landscape and little has changed over the years. During the early years of nationalisation, life still goes on peacefully and quietly, punctuated by trains and the occasional aeroplane drone from the nearby RAF trainingstation a few miles away. A plan once existed to connect the Cotswold town of Northleach by rail, with Andoversford to its west and Burford to its East. We have imagined that this proposal was achieved and constructed. Windrush has thus become a small branch line from these plans, with a junction at nearby Sherborne. 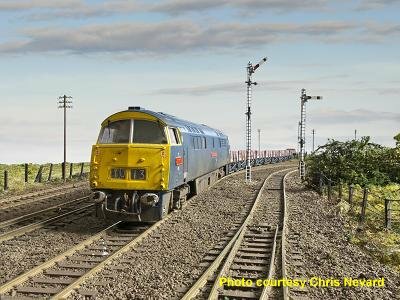 Passenger services to Andoversford via Sherborne Junction and to Northleach can be seen and the majority of general merchandise including livestock and parcels are still carried by rail in both easterly and westerly directions. The locomotives and rolling stock typify the early aspirations of B.R. with motive power supplied mainly from the Gloucester depots 22B (LMR) and 85B (B.R.W.) on view, with the occasional "borrowed" type. Primarily, this is a "blue disc" route, which allows a reasonably wide selection of pre—war locomotives from those sources.